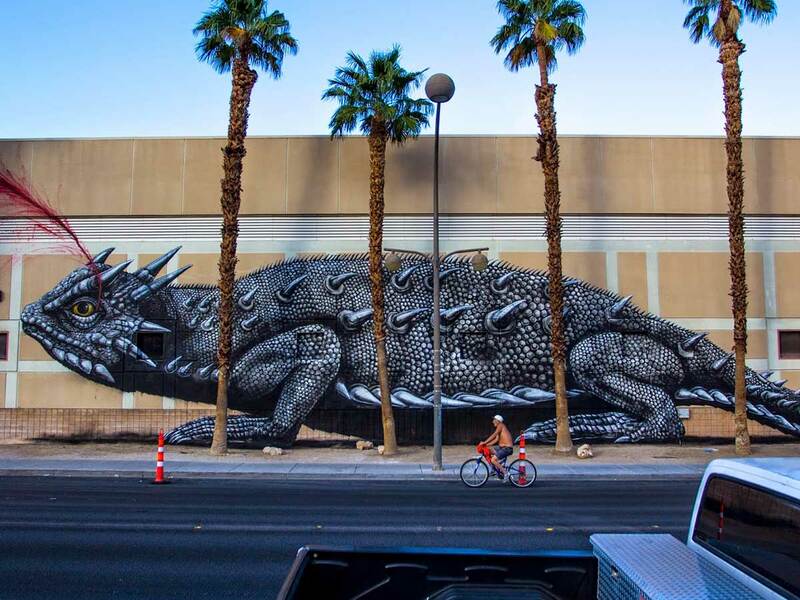 Saying Las Vegas doesn’t have art or culture is like saying that Santa doesn’t exist. Which, IS A BIG FAT LIE. 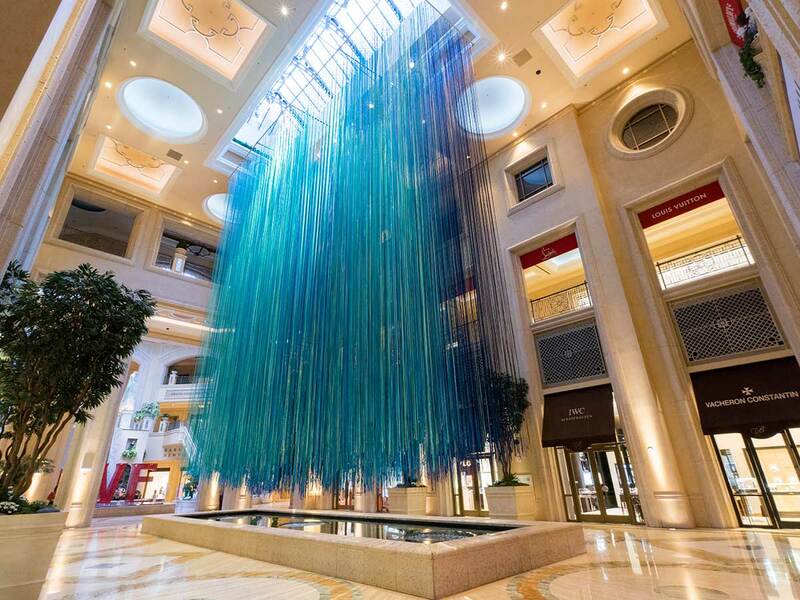 Those of us in the know can tell you there’s an abundance of art in Vegas. You’re probably just too busy stuffing your face full of tasty desserts, shakin’ your groove thang at one of the best pool parties in town or indulging in a world famous show to notice. All of these things are phenomenal, no doubt. But when you want to wipe away that day fade or ditch the midnight blackouts and get cultured, look no further. 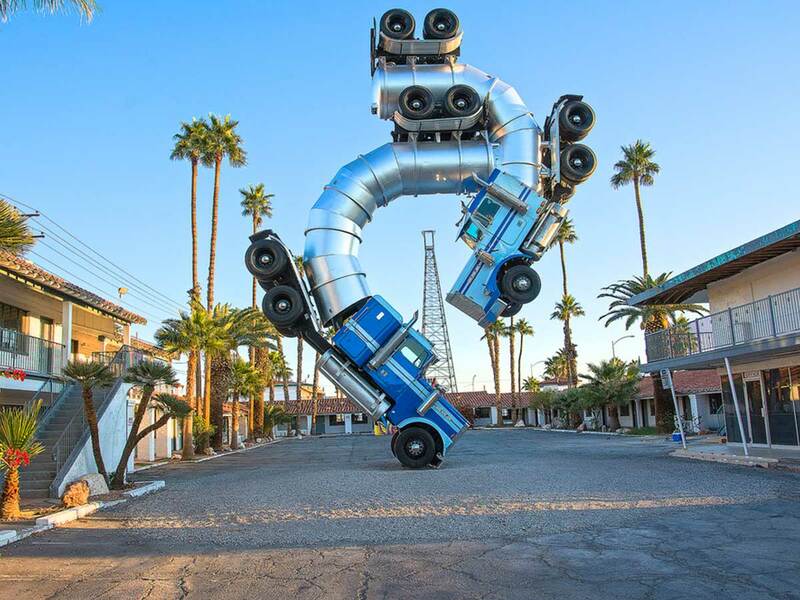 These are some of the best pieces of art in Las Vegas. No fancy-schmancy cheeses or Brinks truck-expensive champagne required. 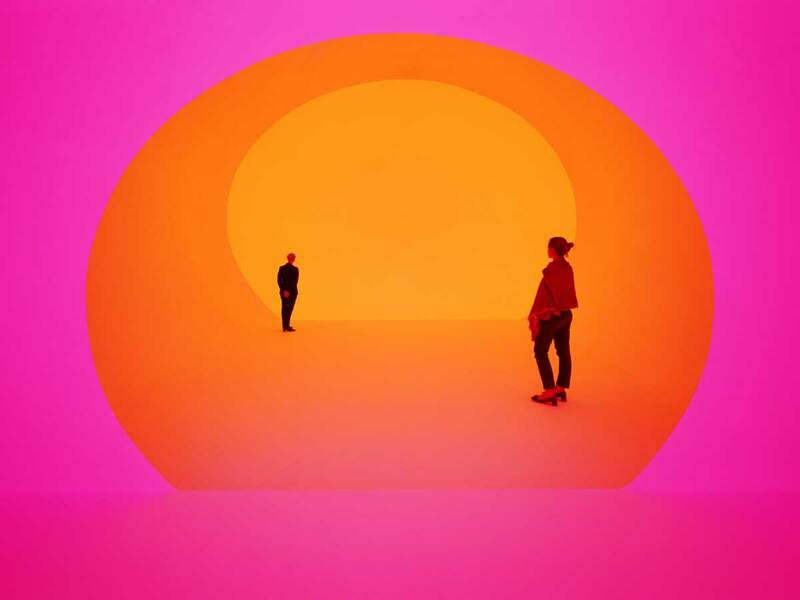 Tucked away on the fourth floor of Louis Vuitton inside The Shops at Crystals, Akhob offers visitors the chance to experience the vibrant hues and slowly changing, bleeding light that made Drake’s “Hotline Bling” video so popular. 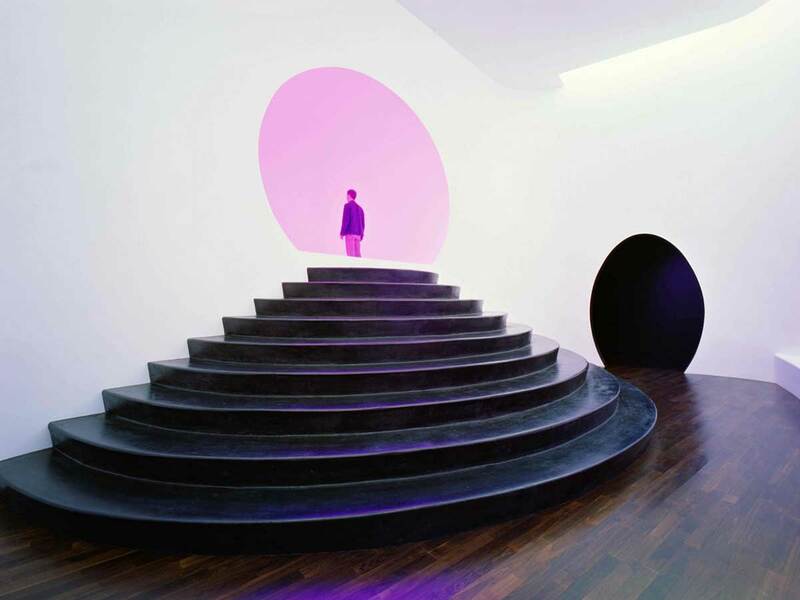 Admission is free, just remember that you need to make an appointment at least a week in advance, due to popularity. Thanks a lot, Drizzy. 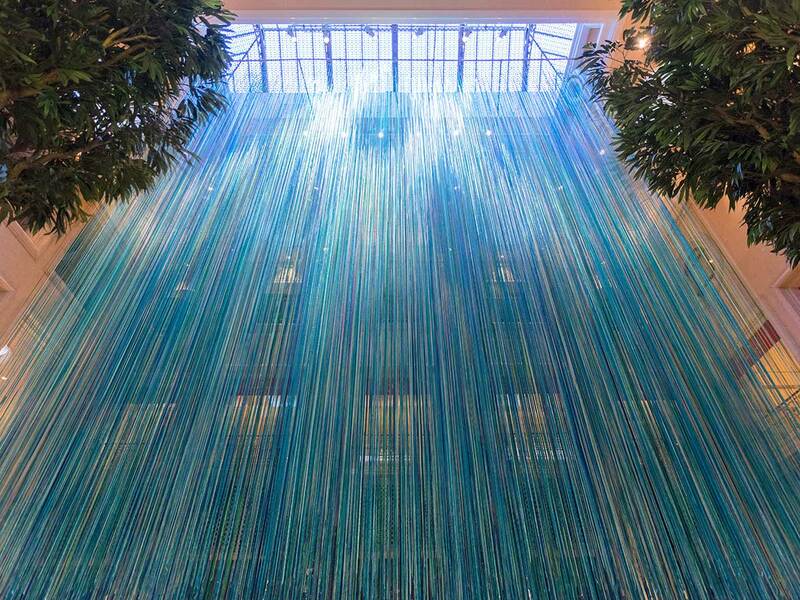 Adding to the culture of the Las Vegas Strip, Anne Patterson’s “Another Sky” at The Palazzo Las Vegas is the immersive installation we couldn’t imagine life without. This thing offers more color and enchantment than the dessert section of a Las Vegas buffet. The feels given by the 32 miles of reflective ribbon are so worth the price of admission (which is free, BTW). We got big rocks and we can not lie. We apologize for the corniness. 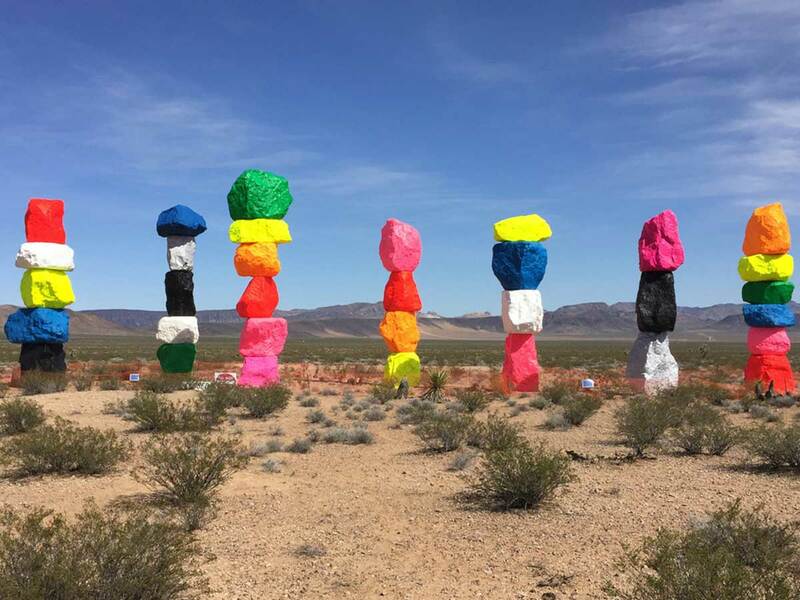 Anyways, Seven Magic Mountains is a bit of a drive from the Strip. But you know what? We’ve all driven a little bit out of our way to see someone –err-, something much less attractive. 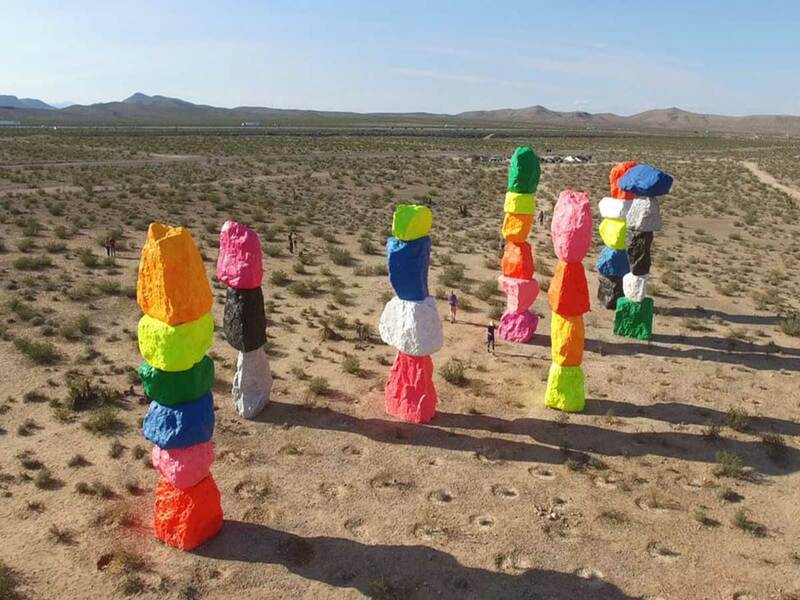 Located near Jean Dry Lake and Interstate 15, these neon hued rocks are as trippy as any experience in the desert we’ve ever had before. Normally we’d never recommend driving out to the middle of the desert for some rocks, but these ones are free. 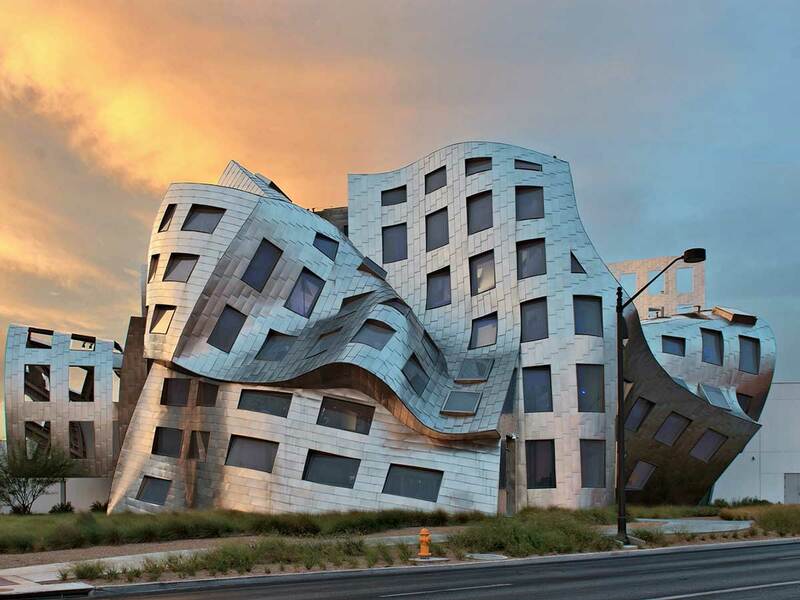 In a city full of the unique and abstract, the Lou Ruvo Center for Brain Health stands out by a mile. 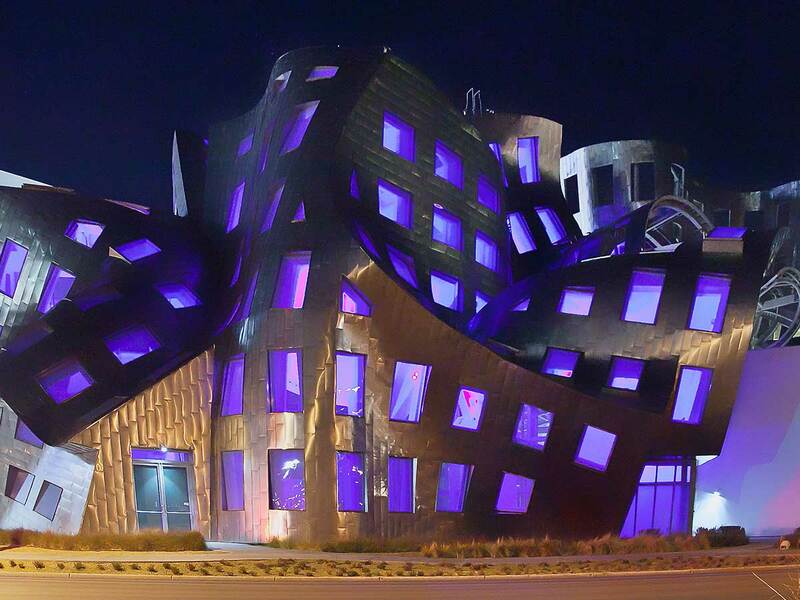 Designed by Frank Gehry, this 60,000 square-foot complex hosts events to raise money for research and clinic visits. We’re not the ones who are crying, you are. Well, we guess the secret is out. 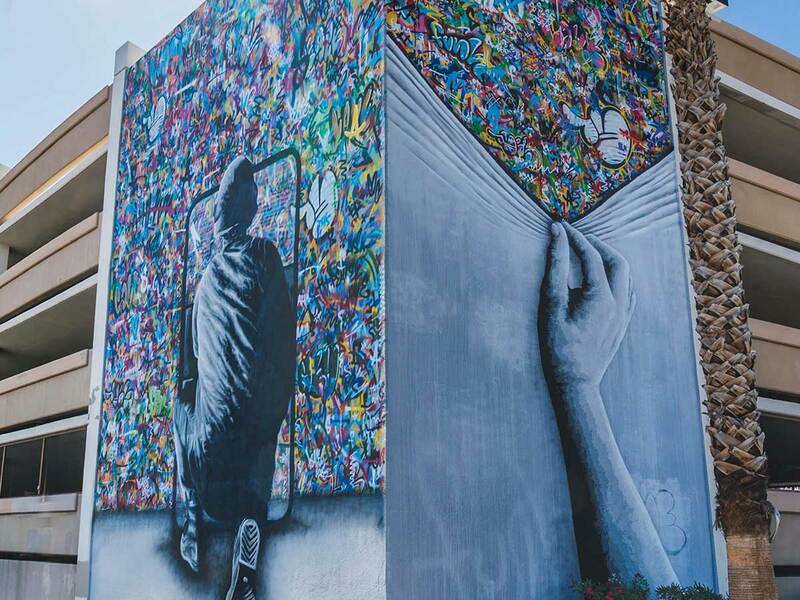 Downtown Las Vegas is one of the hottest (no pun intended) cities in America for street art. 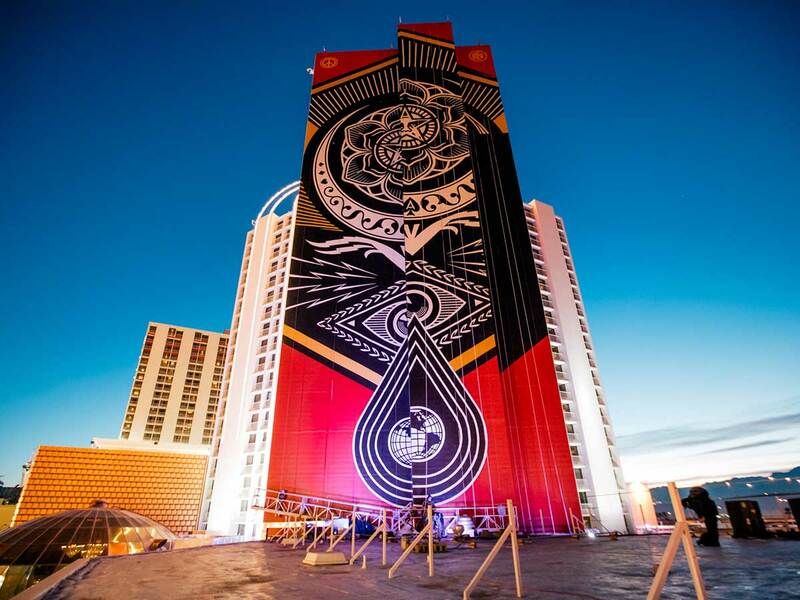 Basically every corner features a mural or installation of some sort, but maybe nothing is more indicative of downtown’s commitment to street art than Shepard Fairey’s 21 story mural on the Plaza Hotel & Casino. Petty taggers, step aside. Downtown is a place for the pros. If you’re lookin’ to get the 4-1-1 on other things to do in Las Vegas, check out our Las Vegas Attractions page.